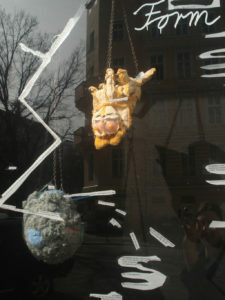 In march 2011, I installed a stuffed animal taken apart, with its outer skin reversed hanging on one side and its filling on the other side of an antique scale. 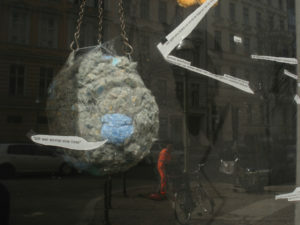 Via a blog on the project space´s website, the question(s) this object proposes became debatable. 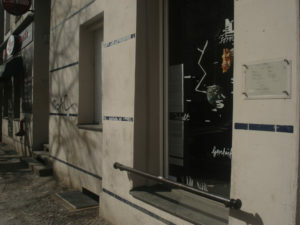 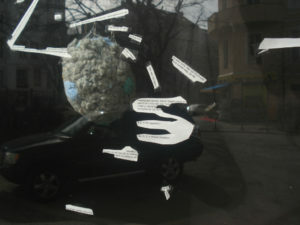 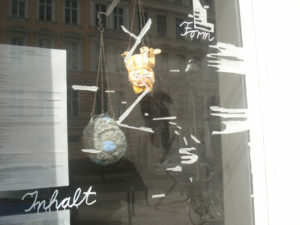 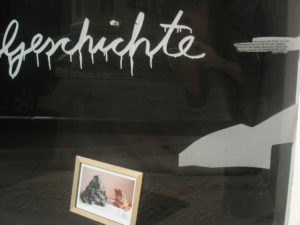 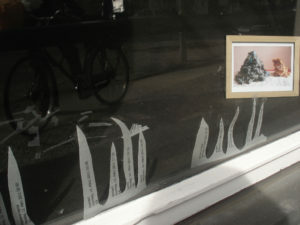 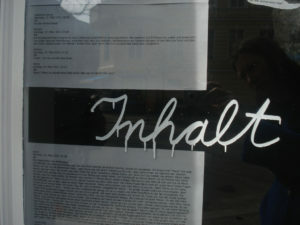 I integrated paper cut-outs of peoples´comments week by week in the growing window installation.